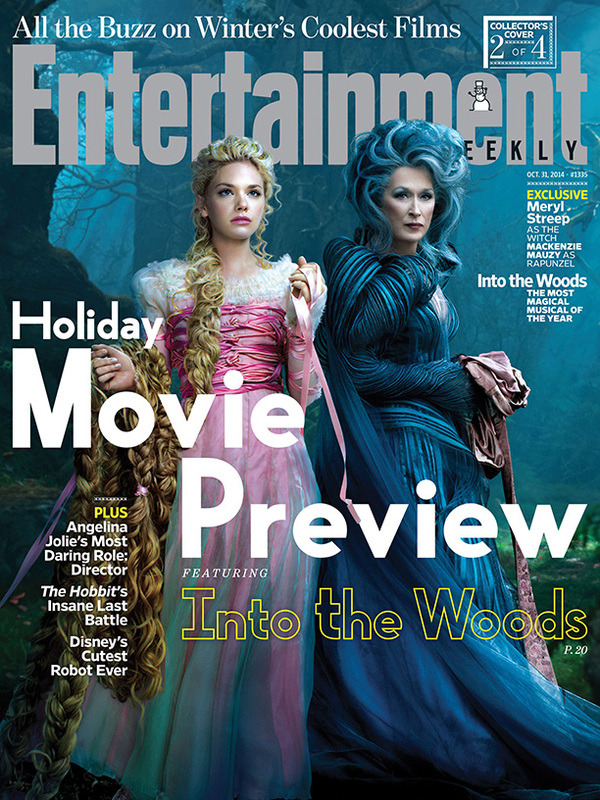 While much of the marketing around Disney’s Into the Woods has centered around Meryl Streep and the supporting cast, it’d be easy to forget that Johnny Depp is a part of this musical (yes, the trailers are misleading you). 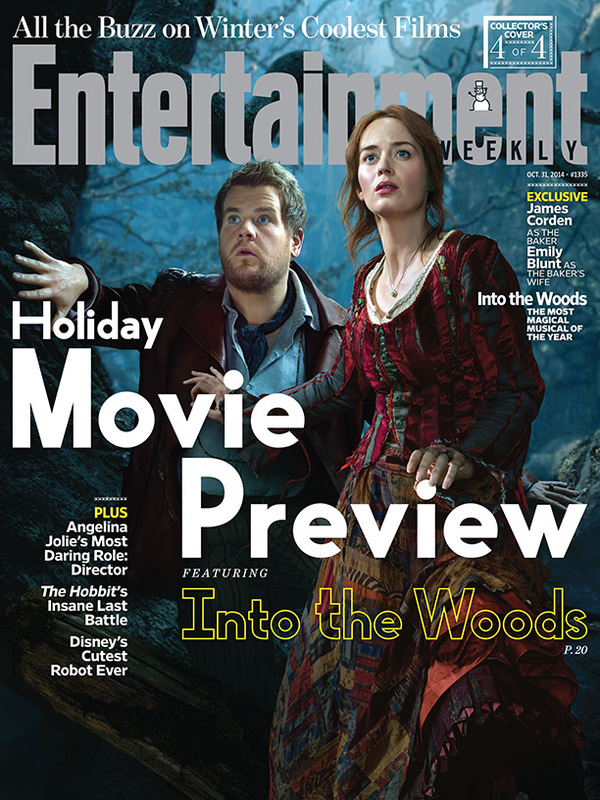 Entertainment Weekly is giving us a first look at Depp as the Big Bad Wolf as they go into collectible cover mode again with their Holiday Movie Preview issue. 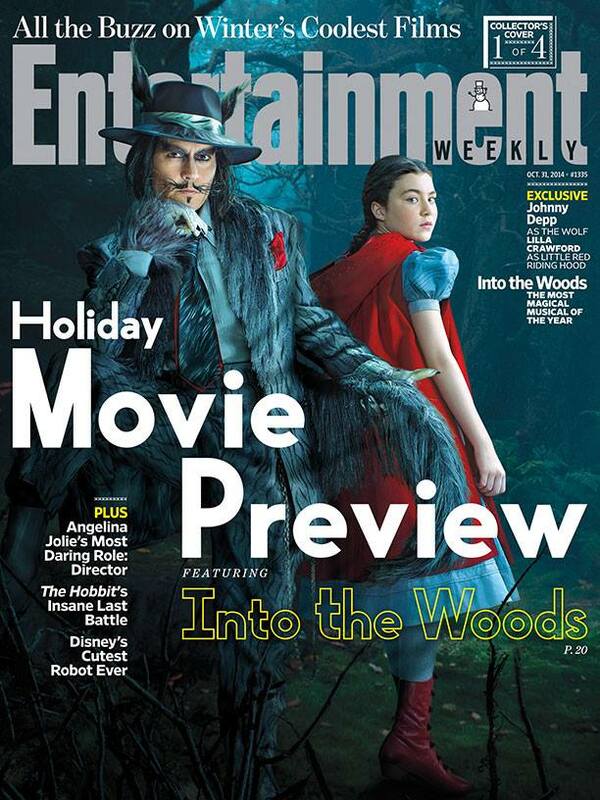 Check out Depp, pictured with Lilla Crawford as Little Red Riding Hood below as well as the rest of the cast on their own covers. 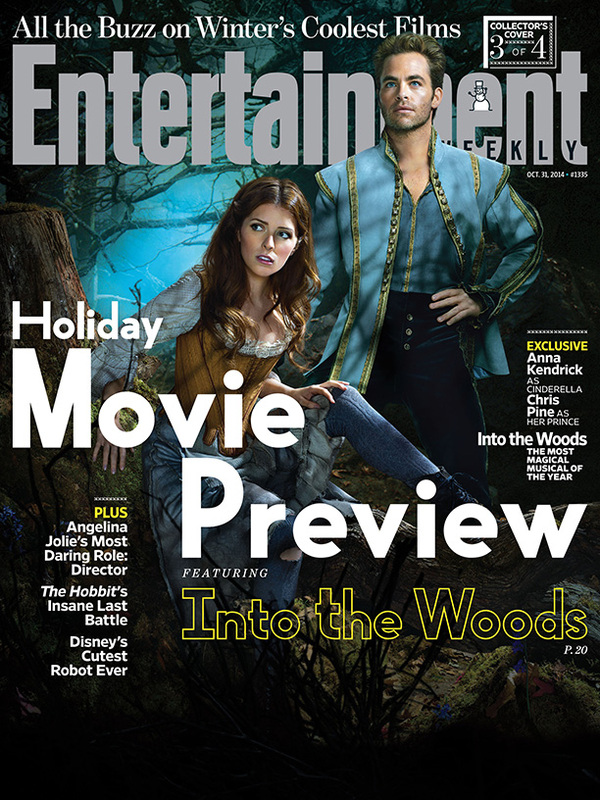 Tags: Anna Kendrick, Chris Pine, collectible covers, Derrick Deane, Disney, Disney movies, Emily Blunt, entertainment, entertainment news, Entertainment Weekly, film, film news, Into the Woods, Johnny Depp, magazines, meryl streep, movie, movie news, Rob Marshall. Bookmark the permalink.